What Does It Take to be an Entrepreneurial Leader? 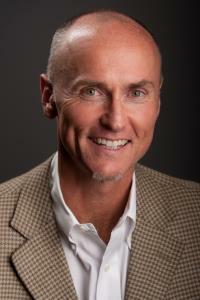 In preparing to facilitate a conversation with Chip Conley, founder of America’s second largest boutique hotel chain Joie de Vivre Hospitality, I had the opportunity to consider whether there are differences in the way successful entrepreneurial leaders engage as leaders compared to leaders in larger, more established organizations. Does starting and growing an organization require different ways of being and doing, possibly different personal characteristics, than what is called for in leaders of well established organizations? The theory I learned in my MBA program pointed to problems of the founders of organizations taking the organization to and through its maturity. In the 1980s and 1990s, we believed that organizations needed to adopt bureaucratic structures to grow and mature. We all know what happened to Apple Computer when Steve Jobs was removed and replaced by a leader thought to have the ability to take Apple to the next level. Had Jobs not been brought back, imagine where technology might be today without his entrepreneurial leadership. Conley’s most recent book, Emotional Equations, seeks to uncover the role of emotions in supporting successful leadership. As a successful entrepreneurial leader, Conley draws upon his experiences and strong desire to understand the emotions he experienced while in the CEO role. Conley’s desire to inquire into his experiences and the effects of his leadership, I believe, is one of the most important qualities of leaders, especially those with entrepreneurial aspirations. His inquiry led him to explore the writing and theory of many psychologists and philosophers, spiritual leaders, and others who sought to understand the complex dynamics of human behavior and relationships and to share their understanding with others. Herein lays another important quality of leaders, especially those with entrepreneurial aspirations, which is seeking to be a continual learner. Conley recognizes that leadership is as much about being as doing. He suggests that curiosity, wonder, and awe serve as important motivators for leaders. This willingness to discover, learn, and share questions and ideas with others supports entrepreneurial leaders in embracing the unknown and thus creating space for creativity and risk taking. One of Conley’s emotional equations is INOVATION = CREATIVITY-CYNICISM. In his book, Conley noted that “innovation is joy. Creativity is love. And cynicism, which breeds conformity, comes from fear.” Conley also noted, however, the important place of critical thinking in recognizing the risks of innovation and change and finding ways to move forward with optimism while acknowledging the risks. This balance of positive and critical thinking is important to creating the conditions for innovation and change, turning challenges into opportunities for success. Conley sees the successful balance of the positive and negative as the definition of thriving. For centuries, Chinese philosophers have noted a similar need for balance in positive and negative; opportunity and risk. Entrepreneurial leaders—and, really, leaders in all aspects of life—can influence change for the common good by taking time to become learners who seek to understand the effect of their leadership and learn from their experiences. As learners, they are more likely to: embrace the unknown; create the space for themselves and others to take risks and be creative; anticipate and learn from mistakes; and thrive through their ability to feel free, analyze risk, embrace opportunity, and share their learning. Imagine what a difference these leaders can make in creating organizations that strive to make a difference in the world.